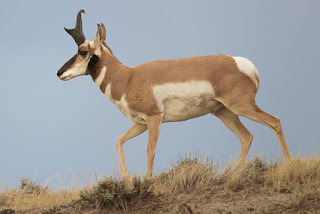 All-species fitness: Running distinguishes us? 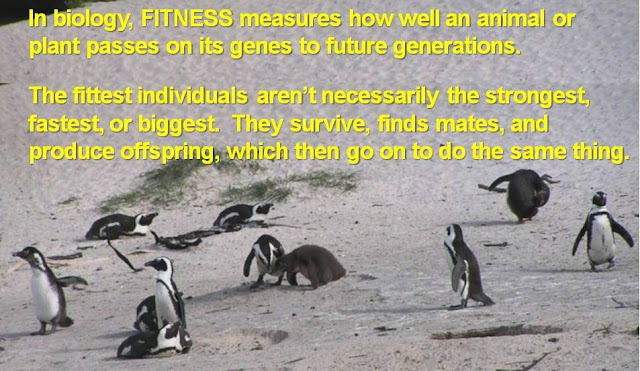 We humans have advanced beyond all other species in terms of our ability to survive, thrive, and reproduce (7,102,174,000 and counting, as of this post, March 6 2013), so our collective human fitness is off the charts. 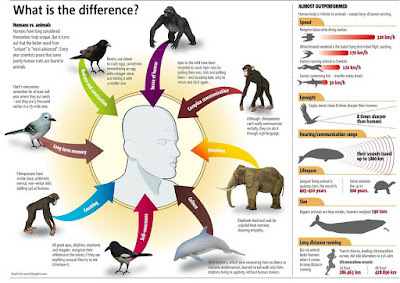 We dominate all other creatures and most of the Earth's land area, yet we share many of our most "human" traits with some of these other species. Click here for one scientific exploration on current human evolution, and of course other comments welcome! For one, our capacity to put this all together in one (big) brain is special, as is our capacity to understand, apply, and communicate these similarities and differences! I've posted about our unique long-distance running capacity and the theories that our early ancestors in Africa survived in part by running,. Another uniquely human trait is our upright posture (listen to your mom!) and our bipedal (two-legged) walking style. These both support the importance of running to our early ancestors, and it's interesting and curious to see distance running highlighted as a uniquely human capability! We will, of course, need to verify this (human-designated!) honor with the equally capable North American pronghorn, which can move at high speed for many miles/kilometers. And what about our pets? Should dogs be in this group? Your dog will have a superb sense of smell, your cat can see at night, and your chameleon can change color and may have a prehensile tail (one she or he can hang from). Is your dog or other pet the smartest or most talented one around? Can you see some of the other "human" traits (empathy, sense of humor, memory) in them?